December 2016, My sister and her family came back from Australia with a hope set within everyone that it's gonna be for good. Of course it's a great thing for us when everyone is gathered again after more than 5 years Kak Wa has been in Brisbane. But honestly, when she shared with us the news of moving back to KL, the pessimist side of mine told her that its gonna be real tough to establish a family from zero here in Malaysia. The reason I was saying that was because Kak Wa and her family were living on the allowance given by the government of Australia while Osman was no longer working due to his study. But Osman did not manage to finish his study due to his health condition. One of the reason Kak Wa wanted to move back was because of the challenge to raise Nureen as a muslimah in the environment where her niece and nephew are not muslim has becoming more and more challenging, plus the allowance for having a child under 6 year-old will be ending too. So Kak Wa and her family came back for (good) on December 2016 with a high hope to settle down in Malaysia. While sorting out life from zero, Kak Wa was in need for a "recovery". Gangguan-gangguan which she has been suffering all these while was spreading its wickedness to Nureen, her only daughter. So the early months of Kak Wa in Malaysia revolved around having her 'berubat' here and there. Mostly were at Darus Syifa' Bangi and also Sabak Bernam. I might record the specific journey of treating Kak Wa in other entries perhaps. To cut short, Kak Wa was fully treated around April or May 2017. That was when she had the time to focus on the plan to start her financial flow to start rolling back. Too much money has been spent for that 4 months and none was coming into the piggy bank of hers. Osman started to doubt that they would be able to settle down in Malaysia. There's a corporation called Ikobana that welcome anyone who has a strategic location to open a courier services. 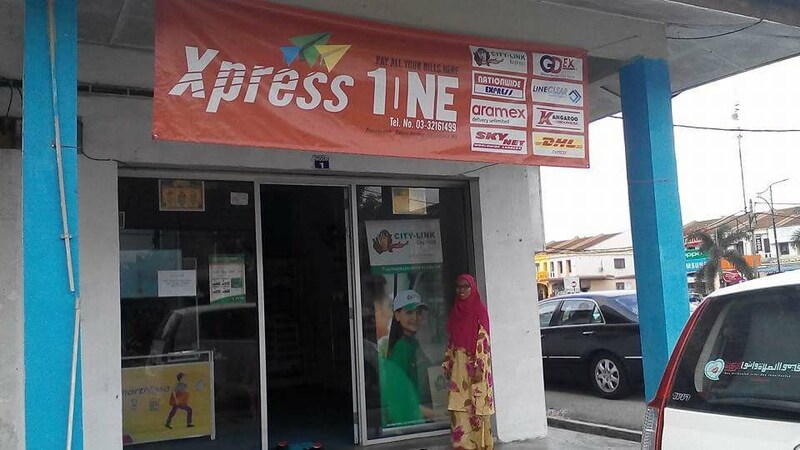 They already had almost all the courier services known in Malaysia in 1 complete service/franchise and you just need to have the shop and the location. It costs around 19K for the whole franchise including the training and everything. At that time, we believed that it was the best thing to do since Kak Wa will have its own time for her husband and daughter unlike any desk job (well, no desk job that she managed to get though)..
Me? I know courier service is not THE thing in Sabak Bernam since the buying power are not that great there. 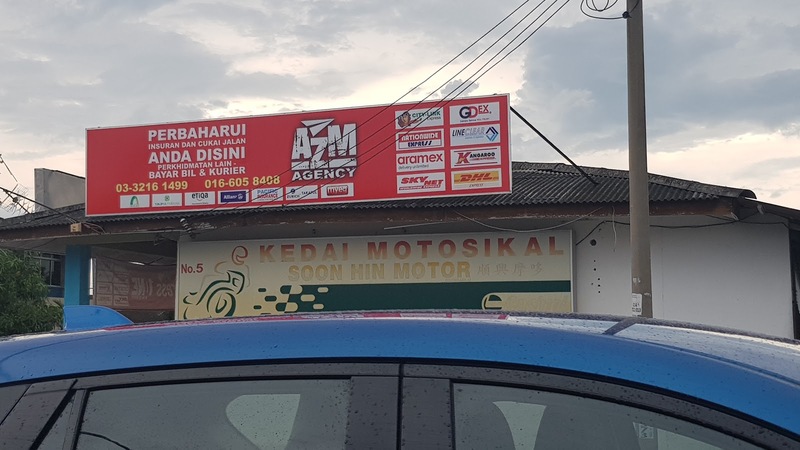 But Kak Wa managed to get in a queue for the MDSB Shop which was vacated few months back with just RM150 monthly rent, I thought "Ok..lets try it". So we were aiming to get the shop since it wont affect the monthly running cost of the shop too much due to the low monthly rent. But, surely it's not that simple. The franchise fee and training has been attended and paid for around 2 months while we did not get any answer on the shop status. The interview of the applicants was yet to be announced. During Raya, one of acquaintance mentioned that he has been applying for the same shop lot way before us and still nothing from MDSB. So we had to go for plan B which was to rent other shop lot that cost around 10 times the rent. We managed to get a strategic shop lot and it costs Rm1400 a month. We had to think about it in our meal, bath and sleep whether to take it and start the long due courier business which ready to go as soon as we have a shop. We couldn't get any better offer. After a long discussion, we proceed with the shop. RM1400 is a lot for sure to compare with 150. But we couldnt keep waiting for something which was too ambiguous. So we made the deal with the shop owner, we paid 2+1 rents and started to tidy up and wash the place. Kak Wa had also bought the shop signboard. But Allah knows best when He gave us trial to face. Just when we were ready to apply for the license of our shop, we have even had doa selamat in the shop, Kak Wa received a call from MDSB for an interview session for the MDSB shop lot application. Bebaiiii... We decided to just attend the interview and we'll decide later if somehow we did get the shop lot. So Kak Wa went to the interview. There were around 15 applicants. If you were at our place, you would agree that it was a slim chance for everyone. So after 2 days, Kak Wa asked me how we gonna proceed now. We agreed to proceed with our current shop and went to apply for the license. And that was when Allah flick His charm on us to make us ponder. "Ah...akak yang interview kelmarin kan? akak dapat tau kedai tu. Tunggu surat tawaran dari kami ye"
After we assessed all the pros n cons, we chose to wait for the RM150 shop and told the shop owner that we had to cancel our tenancy. And yes...that 2+1 deposit burnt!! You do the math on the loss. But we knew, losing the deposit would be way less in a long running compare with the low rental of the MDSB shop. We had to wait another month before the RM150 shop finally and officially ours. It was much smaller but it's enough for our business to run. The signboard that we have already bought need to be installed differently = more money. And it was printed wrongly. Oh Allah. The signboard shop refused to redo it and we had to live with it. Oh Allah.. Mom said to me, "belum habis lagi penat ngerjakan kedai yang tu..ngerjakan kedai ni pulak". So, around 2 thousands more for all the cagaran, bills and so on..finally we managed to open our long awaited courier shop. The real challenge started then. The marketing, facebook page, facebook posts to let everyone knows that there's a courier shop in Sabak Bernam..come come!!! I registered the shop in the google map and some more stuff done for the shop to be known by everyone. But I mentioned to Kak Wa that we can't expect much profits from the shop. The fact that we were just starting and the nature of the business, if we didn't suffer a loss in the first months is considered great already. ANd in a good running period, 3K a month is already super great. Well it sounds pessimist, but that was the actual truth. After running for a month which started around mid of October, the shop had a loss of less than RM200. It was normal for a new running shop, but Osman couldn't wait any longer. All the money spent from early 2017 leaving him nothing and not even a profit with the shop gave them a huge slap on the face waking them up to think fast on what to be done in the coming months. They had to decide quick since Nureen was about to register for her primary school. It was either here in Malaysia or there in Brisbane. Osman was kind enough to stay, wait and see how the shop will turn out till June this year. But everyone kinda have the answer already. The target was to get 3K a month and it was almost impossible to achieve. Osman needs to have his medication every month which around 1K worth of pills. Kak Wa knew well how business works. It's too early to set the profit target. But she just did not have much choice. Having Osman to get back to Brisbane, establish himself by getting new job Kak Wa to join him later if life in Brisbane looks better was not an option. Osman have had a bad experience with this kind of plan during his previous marriage. Osman was patient enough to have a go for another 6 months. But having few days without customers and the fact that it could be the same months after made it hard to for both of them to hold firm to the idea of staying. Each days passed, they spent money for basic needs without getting anymore money coming in. I would be lying if I said I was OK when Kak Wa told me about the worst possible scenario where they need to go back to Brisbane. It was super tough for me. I was the sole financer of the business hoping for the best, now it turned out to be like this..fyuuuhhh..it was a huge knock on my head. I cant run the shop as I was still working at that time. Hiring somebody would cost more when the shop was barely generating income. My friend offered to be my business partner to run the shop with me. He had somebody who was jobless and if he could ask the guy to run the shop, he's in. But few days later, the answer was NO. I had to resort to a plan where Kak Wa would call Ikobana and asked them if we could sell back the business to them. Well, the answer was NO. We could only sell it to anybody who wants to continue with the shop. Kak Wa knew an acquaintance whom she met during the interview for the shop. 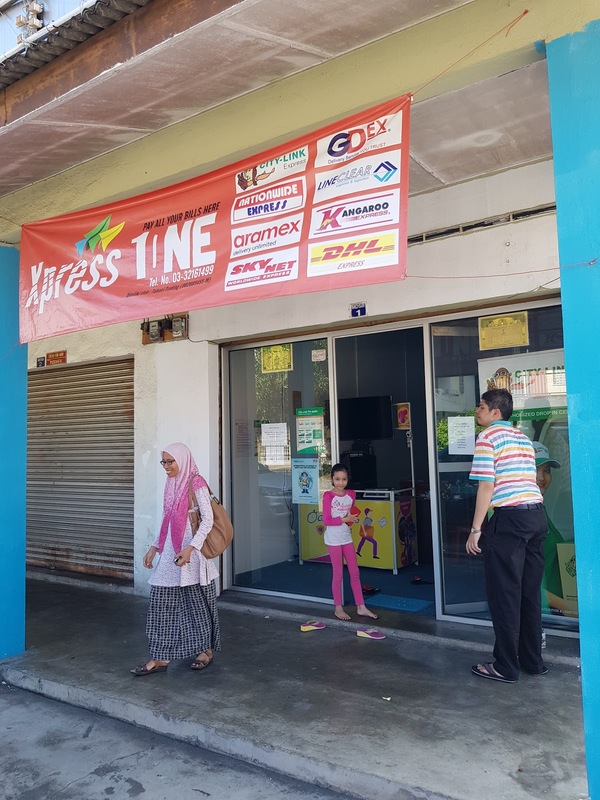 She runs an insurance shop at Sungai Besar and was trying to get the same shop. She showed interest to take over the business. After a few discussion, they agreed to take over by paying RM15K. So at least half of my capital is paid back. They paid another 4K to Ikobana for the process fee to change the ownership of the business. So it was like having to give your newborn baby to a foster care when you have been praying hard to have one. So to cut short, Kak Wa and her family's decision was stone-carved to go back to Brisbane and the courier business was taken over. But the shop remains under my name. The shop can only be transferred to someone that are blood related..siblings or parents. So around 2K more for the process of transferring the shop license to my name. It was a very tough decision ever made. I was hoping that the shop would be a continuation of my rezeki after I finished my contract job with Petronas. 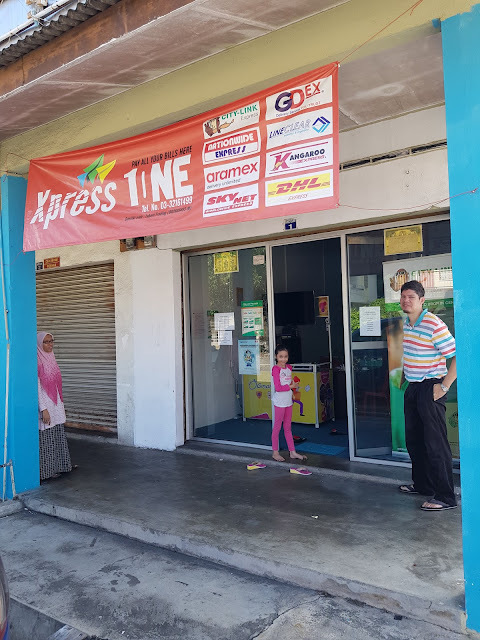 Till now, I yet to receive another 2/3 of the payment from the new owner and last weekend, I already saw that they have changed the shop's signboard. Huhu. I hope there's something good out of all these challenges. Allah knows best. And to HIM we pray for the best. Ikat bini kamu, anak perempuan kamu pada tiang yang paling kukuh!!! Received a parcel when I was at my parents' house. A small book of the detail translation of surah Al-Kahfi. Thanks to PPZ (Pusat Pungutan Zakat) for the yearly gift. And a beneficial one of course. My math teacher once told us before she started our math class about how the first ten verse could save you from Dajal's lure and seduction. Akan tiba waktu Dajal bermaharajalela di penghujung dunia menawarkan segala macam kemewahan dan kehendak yang sukar untuk ditolak. Dan bilamana kita tunduk pada hebatnya Dajal memenuhi permintaan kita, maka neraka lah jawabnya. Hmm..Actually this very reunion was held on 19th of June. Since there were a lot more special ocasion this month..ex:my anniv..ehehe..so this event report has been on hold till this very day..nga nga!! The reunion are for the guys that used and still working at streamyx call center and most of them are/were the splitters..It was held at 24hrs MCD near IKEA. Hari ni lepas breakfast di kala tengah hari, aku and Cembam layan Jelmaan kat Astro First. Yang buat nak tengok tu sebab dia penah keluar preview ke sedutan ke apa ke lah nama dia kat astro hari tu. Sneak peek la kira. Jadi meh layan review aku untuk cerita ni. 1. Bagi aku bila Astro bagi sneak preview 15minit ke setengah jam kat Astro cerita ni tempoh hari, dia terus spoil seluruh misteri cerita tu. Sebab apa? sebab dalam preview tu dia tunjuk la Raja Ilya ni dok terjerit2 cari anak-anak dia kat satu villa ni...and bila aku tengok je movie ni tadi, awal2 cerita dia depa ni eksiden bas jatuh gaung. At that moment, baru berapa minit aku dah tau dah kuarga ni hantu, based on preview sebelum ni.